The Spurs have been waiting for this moment for 22 years. They could finally vanquish the one playoff foe they had yet to embarrass not only under Gregg Popovich and Tim Duncan, but in their entire history as a franchise. 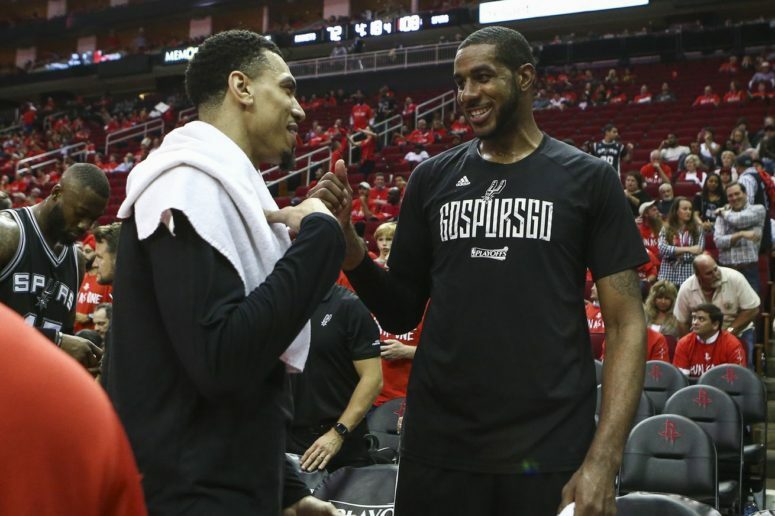 It wasn’t for a lack of trying; the Spurs did their part by always making the playoffs, but even when the Houston Rockets did as well (which was more often than not), the stars just never quite aligned for the in-state rivals to meet up. We should have seen it coming, really. The Spurs have been banding together and winning games while missing (or resting) star players for years now, so why not last night? It was just an elimination playoff game on the road while missing their MVP and floor general. No big deal. Coach Pop always has all of his players prepared and an adjustment up his sleeve, be it from game-to-game or season-to-season, and that’s how he beat Mike D’Antoni yet again. Why are people still surprised by these Spurs? They shouldn’t be, admits one author who is probably trying to convince himself as much as others. Here are Zach Lowe’s seven insights into what all went down in Game 6, including the many ways Pop out-foxed D’Antoni, and how any player can contribute to a championship as long as he’s playing in the right role, however large or small. The Spurs haven’t just evolved overtime; they evolved throughout the series…some of it was forced due to injuries, some was by design…to the grand climax that was Game 6. We all know Pop’s disdain for the three-point shot, so Game 6 must have melted his heart considering the Spurs managed to score an absurd amount on twos (they only made five threes all game) and beat the modern analytics of the Rockets by 39 points. Here’s how they did it. It never gets old. Relive one of the greatest tales of perseverance in sports: the journey of Jonathon Simmons, who went from a junior college transfer, to scrounging up up $150 for a D-league tryout, to one of the most important players who helped the Spurs take down the Rockets in his home town while filling MVP-sized shoes (and hands). Patty Mills comes from a long line of Aboriginals who have fought to bring awareness and rights to the native tribes of Australia. One of the most inspirational of them all is his great uncle, Eddie Mabo, who was the first in 200 years to successfully fight for and win land rights for his people. Mills has continued that cause in raising awareness, from Australia all the way across the ocean in San Antonio, TX. Check back later for more links, previews and predictions ahead of the highly anticipated match-up between the Spurs and Golden State Warriors.